This post will teach you how and when to use WP thyroid to help you lose weight and feel better. It will walk you through a case study of a patient who used WP thyroid to lose 55+ pounds over 6 months. Is your thyroid making it impossible for you to lose weight? If you have hypothyroidism and you are not getting adequate thyroid hormone (either because of absorption or because of conversion) it will be very difficult for you to obtain a normal metabolism and therefore lose weight. So where does WP thyroid fit in? It turns out that each thyroid hormone replacement medication has advantages and disadvantages and some are better than others. WP thyroid happens to be one of the better formulations of NDT (natural desiccated thyroid hormone) for several reasons. Switching to this medication may result in a reduction in your hypothyroid symptoms and help you lose weight in the process. ​Does WP Thyroid cause Weight Loss? What is the best way to take WP thyroid? Will switching from Nature Throid to WP thyroid help me lose weight? How do I switch to WP thyroid from Levothyroxine or Synthroid? What are the ingredients in WP thyroid? Is desiccated thyroid better than synthetic thyroid hormone? Is it safe to use WP thyroid and other brands of desiccated thyroid hormone? How does WP thyroid compare to Tirosint? WP thyroid is a form of thyroid hormone which falls into the class of medications known as Natural Desiccated Thyroid or NDT for short. Other medications in this class include Armour thyroid and Nature Throid, but there are certainly others as well. These medications (as a whole) are unique among thyroid medication in that they are created from collecting and crushing (or desiccating) the thyroid gland of animals (pigs in this case). The reason these medications work is because the thyroid gland of pigs contain the same bio-identical hormones that we as humans use. So basically we found a way to extract thyroid hormones form animals and we provide those to people who suffer from hypothyroidism. This process should be differentiated from the synthetic creation of thyroid hormones such as Synthroid and levothyroxine which are manufactured from other sources. The net result of desiccating thyroid glandular tissue from animals is that you get a more complete array of thyroid hormones including the biologically active thyroid hormones T3 and T4, along with the less biologically active thyroid hormones T1 and T2. This should also be compared to Levothyroxine/Synthroid which only contain the T4 thyroid hormone. One of the reasons that NDT (and therefore WP thyroid) may be superior to other forms of thyroid hormone is because it contains all of the ingredients we previously mentioned. So we know that WP thyroid is different from standard synthetic thyroid hormones, but how does it differ between other NDT medications and does this make a difference? Are all thyroid medications created equal? While all of the various combinations of natural desiccated thyroid contain the same amount of thyroid hormone, they differ in the fillers and binders that they contain. Which is the best thyroid medication? And there really isn't a simple or easy answer. Instead of focusing on which thyroid medication is "best" you should instead be asking yourself: which thyroid medication is "best" for MY body? So when would someone consider using WP thyroid over Nature-throid or Armour thyroid? Since they contain the same amount of thyroid hormone, the answer really comes down to what is inside each of them. ​WP thyroid has the fewest amount of inactive ingredients which theoretically means people should react better with this medication versus other forms. It isn't quite that simple in reality, but you can use some of this information to help figure out which medication is best for you. In order to get the most benefit from thyroid hormone, you really need to make sure you are both absorbing the medication and that the medication is getting into the target tissues. Since the GI tract is involved with the digestion and absorption of thyroid hormone it's important to make sure that is functioning optimally. The more binders/fillers/cellulose etc. in the inactive ingredients of the thyroid hormone the more difficult it is to absorb. The actual conversion of thyroid hormone takes place in the body, so various factors like inflammation, hormone imbalances, etc. seem to alter tissue concentrations more than absorption. In patients with chronic GI issues or difficulty with other forms of NDT, it is worth a trial of WP thyroid to see if issues resolve. ​If you fall into one of these categories above (especially if you've just been switched from T4 or levothyroxine) then it's definitely worth asking your physician about WP thyroid before switching back. The absorption issue is why I believe many patients do so well on Tirosint vs Levothyroxine and Synthroid. Fewer ingredients = better absorption (generally). The answer to this question is actually more complex than you might think. 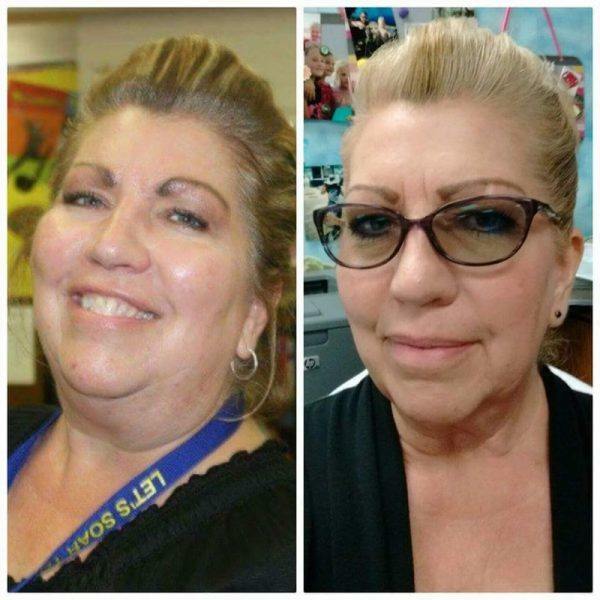 I'm showing you a case study of Sharilyn who was able to lose weight while being on WP thyroid, but I wouldn't give WP thyroid all the credit for her weight loss in this case. The cause of weight gain in hypothyroid patients is usually due to multiple hormone imbalances of which thyroid dysfunction is only 1 (and may not even be the primary driver of weight gain). Many patients get "thyroid tunnel vision" and wrongly believe that every symptom they are experiencing (including weight gain) is the result of thyroid dysfunction. While the thyroid may be the cause of your fatigue, hair loss, cold extremities, etc. it is most likely not the main reason you can't lose weight. I just got done telling you that your thyroid medication is probably not the main driver of weight gain in your body, but that doesn't mean it isn't playing a role. Some patients suffer from metabolic conditions that result in low circulating levels of T3 in the body. We know from studies (1) that the serum T3 levels (both free and total T3) can be used to predict the amount of weight that a patient will lose during a weight loss plan. At first glance it doesn't seem that the T3 levels themselves result in more weight loss, but rather the changes to serum levels probably allow the weight loss to "stick" over time. #1. The type of thyroid medication doesn't play a big role in weight loss directly but it allows you to keep off the weight if your medication allows your T3 to stay in an "optimal" range. #2. WP thyroid may help people keep off weight they have lost if it helps increase serum and free T3 levels. #3. Switching to WP thyroid will probably help with weight loss only if you are not tolerating the medication that you are currently taking or if that medication is not being absorbed properly. #4. Weight loss usually occurs in thyroid patients who switch medications AND undergo weight loss therapies such as exercise, change in diet, stress reduction and who take certain supplements. My experience suggests (and is in line with current studies) that magically changing the type of thyroid medication you are taking rarely results in weight loss by itself. But it can be a powerful tool, especially when coupled with other therapies such as those undergone by the case study listed below. I bring this up because I don't want you to wrongly believe that simply switching to WP thyroid from Nature-throid or Armour Thyroid will suddenly cause you a significant amount of weight loss all by itself. As I mentioned previously it is important that you have optimal serum levels of both free T3 and total T3 for weight loss. This is where the dosage of WP thyroid that you are taking comes into play. It's important that you are taking enough WP thyroid in order to increase these values in the serum so that your weight loss plan will be successful. So what is the optimal dose of WP thyroid? While there isn't an "optimal" dose that everyone should be on, you can still use some guidelines to help you determine how much you should be taking. Your goal when using WP thyroid should be to limit the degree of TSH suppression that occurs when taking thyroid hormone while ensuring that your total T3 and free T3 stay in the top 30% of the standard reference range. For most individuals, this will be somewhere between 1 grain (65mg) and 3 grains (195mg) of WP thyroid. 1 grain of WP thyroid contains 38mcg of T4 and 9mcg of T3 and 3 grains of WP thyroid contains 114mcg of T4 and 27mcg of T3. As you can see there is a big difference between the low-end dose and the high-end dose. The way to determine your dose is by constantly assessing serum thyroid lab markers every time you adjust your dosing and to balance your dose with your symptoms. Is more WP thyroid better for weight loss? The reason you want to limit your dose is because you may start to experience negative side effects with increasing (if the dosing is unnecessary) doses of WP thyroid. Mild TSH suppression defined as a TSH less than 1.0 may not be a big deal for most individuals, but dramatic TSH suppression may cause long term issues such as an enlarged heart (2), osteoporosis (usually only an issue for postmenopausal women) and even atrial fibrillation (usually due to changes to cardiac tissue from long term use). You can avoid these potentially negative side effects by following the guidelines listed above. If you find that your serum thyroid lab markers are in the "ideal" range and yet you are not losing weight then your next step should be to evaluate other hormones which may be interfering with weight loss such as leptin and insulin. 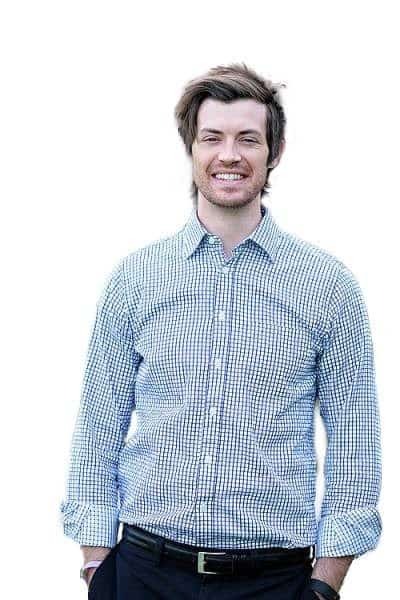 You can also find more information about my approach to weight loss in my weight loss guide here. Like all medications, WP thyroid has both positive and negative side effects that you want to watch out for. Some of the side effects of this medication are linked to its effects on thyroid function in the body while others may be secondary to components of the medication. Heart palpitations/irregular heartbeat - Usually related to excessive dosing. Hair loss - May be caused by the medication itself (fillers/dyes) or related to either high/low dosage. Fluid retention - Usually an indicator of excessive medication. Chest pain - Usually secondary to medication dose, if you experience this side effect seek medical attention as soon as possible. Throat swelling - May be related to an immunogenic response to animal thyroid glandular tissue. Increased anxiety or irritability - Usually dose-dependent (too high). Nausea or stomach pain - May be related to the fillers/dyes in the medication or to your dose. Insomnia - Usually an indicator of excessive dosing. Diarrhea - Usually an indicator of excessive dosing. Heat intolerance - Usually an indicator of excessive dosing. Skin rash - May be secondary to an allergic reaction. Increased antithyroid antibody titers - May be secondary to an immunogenic response from animal glandular tissue. In general WP thyroid is very well tolerated among patients, especially when compared to other thyroid medications. If you are experiencing negative side effects such as those listed above make sure you seek out help from your provider to determine if it's related to your dose or the medication itself. Identifying the cause of your symptoms will help you determine how to proceed. Below you will find a list of abnormal labs that we can dissect to help us better understand what causes weight gain and weight loss resistance. She has high levels of inflammation with a CRP at 2.3, a platelet count at 444 and a ferritin level of 179 (yes ferritin is also an acute phase reactant and can be used as a marker of inflammation). You might recall that inflammation reduces T4 to T3 conversion (3) which causes high levels of reverse T3. You can see that her reverse T3 is 16.7 which is higher than the "optimal range" of < 15 that we are looking for. So you can see right away that inflammation is obviously making her thyroid function worse, but there's more. She is also dealing with insulin resistance (based on her high fasting insulin level of 9.5 and her Hgb A1c of 5.9 which puts her in the pre-diabetic range). Insulin resistance is yet another factor that can contribute to high levels of reverse T3 and make thyroid function worse. In addition, insulin resistance makes weight loss very difficult by taking energy from the blood and placing it in fat cells. In this case, the combination of thyroid resistance and insulin resistance are leading to the weight loss resistance that she is experiencing as evidenced by her lab results. ​The next question is, what do we do about it? Diagnosis is really just the beginning, what matters is how you approach treatment. You can ask for all the tests you need to help find the root cause of your problem, but just knowing does nothing for you. In order to get results, you need to properly TREAT the problem. So how did we take her from a fasting insulin of 9 to a fasting insulin of 4.2 and around 50 pounds of weight loss along the way? In this case, the biggest barrier to weight loss and feeling better was the insulin resistance and the thyroid resistance that she was facing. The thyroid resistance was treated with Armour thyroid initially and then transitioned to WP Thyroid due to absorption issues. Remember that thyroid hormone should always be titrated based on a combination of lab results, symptoms and body temp/resting heart rate. 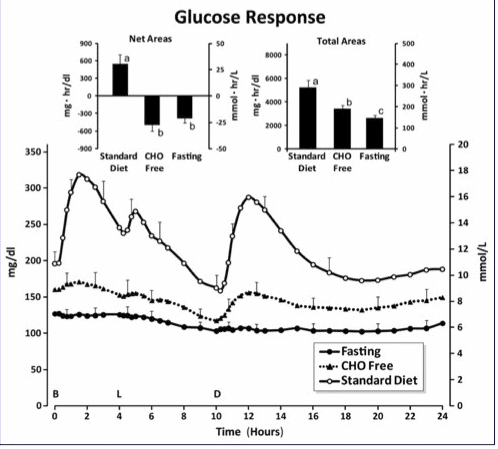 In this case, the majority of the effort was focused on treating and balancing insulin levels. Most people think that treating insulin resistance is as easy as just cutting out carbs. ​You can see from the image above that just cutting out carbs isn't enough to lower the blood glucose enough to sensitize the cells to insulin. It really requires the combination of intermittent fasting in addition to cutting out carbohydrates. The therapies, in combination with T3 from the WP Thyroid, really helps to reverse those levels and lead to lasting weight loss. So what do you do if you are on T4 medication and unable to lose weight or feel better? The FIRST thing you need to do is find a provider or physician to help guide you along the way (you can use this resource to help). I don't recommend taking this information to your current Doctor and trying to get them to treat you in this way. First of all your case is unique to you, and you may need a different combination of dosing/medication/hormones/diet, etc. But also you really need that help to guide you through the ups and downs of treatment. It just isn't as simple as starting hormones or medications and watching the weight shed off. It takes a combination of trial and error to get to the root cause of the problem. Thyroid medication, including WP Thyroid, can certainly help you lose weight and feel better but it isn't the primary solution to your problem. Instead of focusing on diet and thyroid medication I want you to look at other hormone imbalances in your body and address those. For best results, WP thyroid should be taken on an empty stomach first thing in the morning. It's best to avoid eating for as long as possible after you take your thyroid medication so that you can help increase absorption in the gastrointestinal tract (4). Some individuals may also benefit from taking their thyroid medication in the evening due to the changes in bowel kinetics that occur at that time. You can read more about how and when to take your thyroid medication here. To increase absorption you will also want to avoid taking your thyroid medication with supplements that contain calcium and iron as these nutrients may block thyroid hormone absorption. This is also true of food, which is why it is recommended to take your medication on an empty stomach. Some individuals find benefit in splitting their dose throughout the day as well. You can do this by taking your total dose - let's say 2 grains for this example, and you can take 1 grain in the morning and 1 grain in the afternoon. 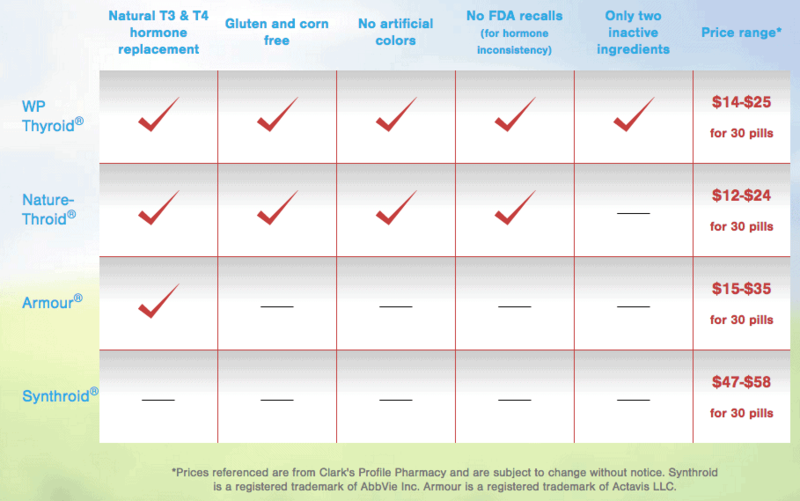 This schedule helps maintain stable serum levels of T3 and T4 throughout the day. The answer is maybe and it really depends on your individual situation. If you are having trouble absorbing your current thyroid medication or if you are reacting to inactive ingredients in your current medication then switching may help. Remember that all thyroid medications are unique and slightly different even if they are in the same class or family of thyroid medications. Levothyroxine and Synthroid are both T4 thyroid medications but studies have shown that they are not bio-equivalent when ingested and certain patients may be sensitive to this. If you are not tolerating your current thyroid medication it is always worth a switch to a different type of thyroid medication (even in the same family) to see if you tolerate that medication better. Unfortunately switching between thyroid medications that are not within the same class can be difficult. Much of the problem with switching medications has to do with the difference in the thyroid hormones that these medications contain. WP thyroid contains both T3 and T4 while Levothyroxine and Synthroid contain only T4. When you consider that T3 is at least 3-4x more potent (5) (or more powerful) than T4 it makes sense why there really isn't an easy conversion. It's also important to realize that because T3 is the active thyroid hormone it is not as well tolerated as T4 thyroid medication. As a general rule, you can multiply the T3 content of thyroid medication by 3 which turns it into T4 "equivalents" which can be useful for converting thyroid medication doses. I've discussed how to do this in another article here which you can read more about. When switching to thyroid medications that contain T3 it's also very important that you titrate your dose up very slowly to prevent unwanted side effects. T3 is more powerful than T4 but it stays in the bloodstream for a much shorter time than T4 (on the order of hours compared to weeks with T4). This list includes both the inactive ingredients as well as the active ingredients (see more on active ingredients below). It's important to note that some people react negatively to inactive ingredients even though these ingredients are considered "inert". They don't necessarily have biological activity on their own, but certain sensitive individuals may react to these ingredients with various symptoms such as rashes, GI upset, headaches and more (6). For this reason, it is always preferable to get a medication that contains fewer inactive ingredients. The "active ingredients" in a medication are the ingredients which have biological activity. In the case of WP thyroid (and other thyroid hormones), this refers to the active thyroid hormones. WP thyroid, because it is a formulation of NDT, contains both of the major biologically active thyroid hormones T3 and T4 as well as the less biologically active thyroid hormones T1 and T2. It is likely that T1 and T2 have some biological activity but the exact amount is not known at this time. There is a hotly debated topic. Desiccated thyroid refers to formulations of medications such as Armour thyroid, WP thyroid and Nature Throid. These medications are felt to be considered more "natural" than synthetic medications which are created in a laboratory from synthetic materials. It's important to realize that the "natural" thyroid hormone in NDT is produced from animal thyroid gland and therefore may not be suited to every person. NDT may be superior to T4 only thyroid medication for some individuals because it contains both T3 and T4 as well as the less biologically active T1 and T2 thyroid hormones (7). On the other hand, some patients are very sensitive to the T3 in NDT and may therefore not tolerate these types of medications. There is no clear answer, but in my experience which is confirmed in clinical studies (8), more patients prefer NDT and WP thyroid over synthetic alternatives (but this doesn't mean those medications are not effective). WP thyroid, along with other NDT formulations, is designed to be used to treat those who suffer from hypothyroidism. That being said there are some risks inherent in using certain medications and the risks vs benefits should always be weighed when evaluating medication. The potential downside to using WP thyroid is that it contains T3, the active thyroid hormone, which certain people may react to. In addition, it is important to realize that WP thyroid is formulated from the thyroid gland from animals (pigs). Ingesting glandular tissue from another animal may result in immunogenic reactions that may manifest as a worsening of symptoms. There have also been reports from patients (I have also seen this clinically) that patients with Hashimoto's may react with an increase in antibody levels when taking NDT and that includes WP thyroid. It is possible that these reactions may be caused by the body and a weakened immune system which then targets the animal tissue as "foreign" and attempts to destroy it. The exact mechanism by which this occurs is not well understood but it should always be considered before you take NDT! Tirosint is a T4 only medication and it is similar (but different) to WP thyroid in that it is the "cleanest" of all T4 only thyroid medications. Tirosint contains 3 inactive ingredients and 1 active ingredient (Thyroxine) which can be compared to other T4 medications which have many more inactive fillers and dyes. So these medications differ in that one contains only T4 (Tirosint) while the other contains both T4 and T3 (WP thyroid) meaning they do not belong in the same class of thyroid medications. They are similar in that they both contain relatively few inactive ingredients and can be considered the cleanest of all thyroid medications within the class. Are you currently on Nature-throid or Armour thyroid and still feeling poorly? Have you been able to lose weight while switching medication and balancing your hormones? If so it may be the result of reacting poorly to your current class of thyroid medication. WP thyroid is an NDT formulation that may be purer and, therefore, better absorbed when compared to other brands of NDT. If this scenario exists within your body then switching to WP thyroid may actually result in weight loss where other medications have failed. This may also be relevant if you are taking T4 only medications such as Synthroid or Levothyroxine. Have you tried taking WP Thyroid before? If so, what has been your experience? Are you currently taking Nature Throid or Armour thyroid? Are they working for you?